Radio is a highly relevant and effective medium for Government brands. Find out why and how with our four-point guide below. 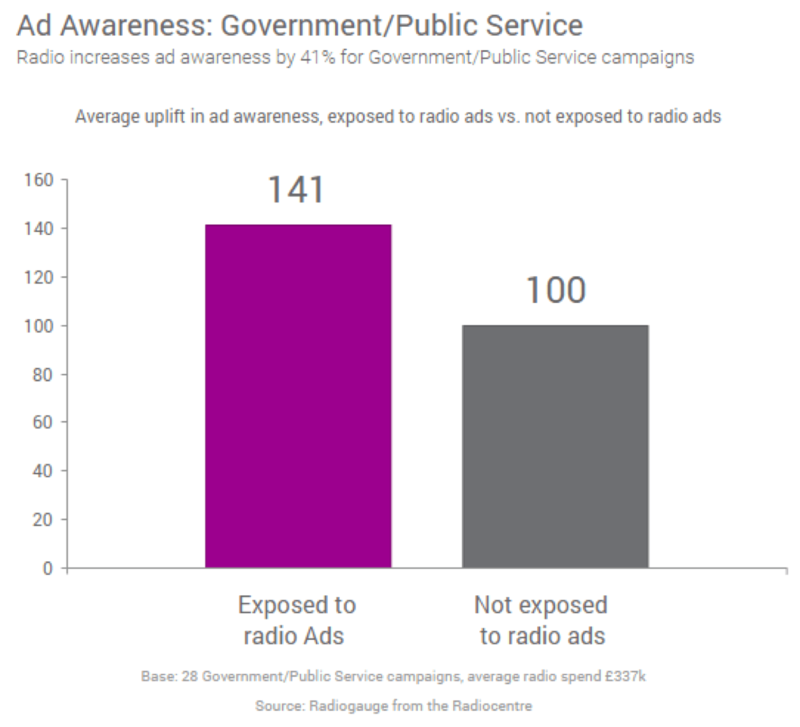 With radio, Government advertisers have the opportunity to reach people while engaged in a range of activities. For example, HMRC directing messages to listeners while carrying out household admin and TfL targeting road safety messages to people when they are travelling in car. 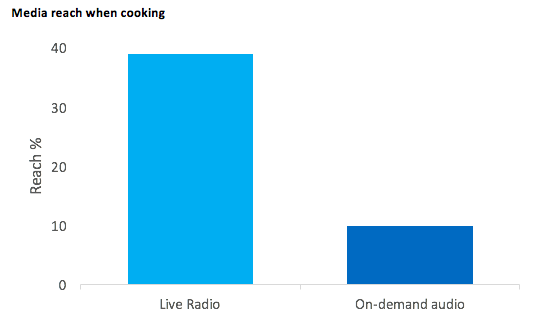 With radio’s ability to reach 39% of people whilst cooking, specific fire safety messages can also be delivered at appropriate moments. 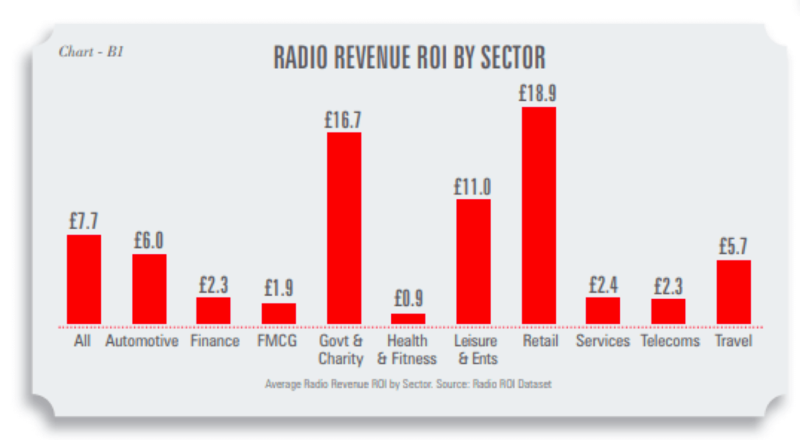 For the Government sector, radio ROI averages at £16.70 for every advertising pound spent, which places it second behind Retail. Flexibility of radio allows Government to target audiences with a broad variety of messaging, whilst they’re engaged in lots of different activities – while also delivering high ROI. Ongoing effectiveness research study Radiogauge underpins how radio has a significant uplift effect on awareness for Government campaigns. Connecting with an audience at the right time and in the right place. Radio encourages drivers to think of bikers as real people.